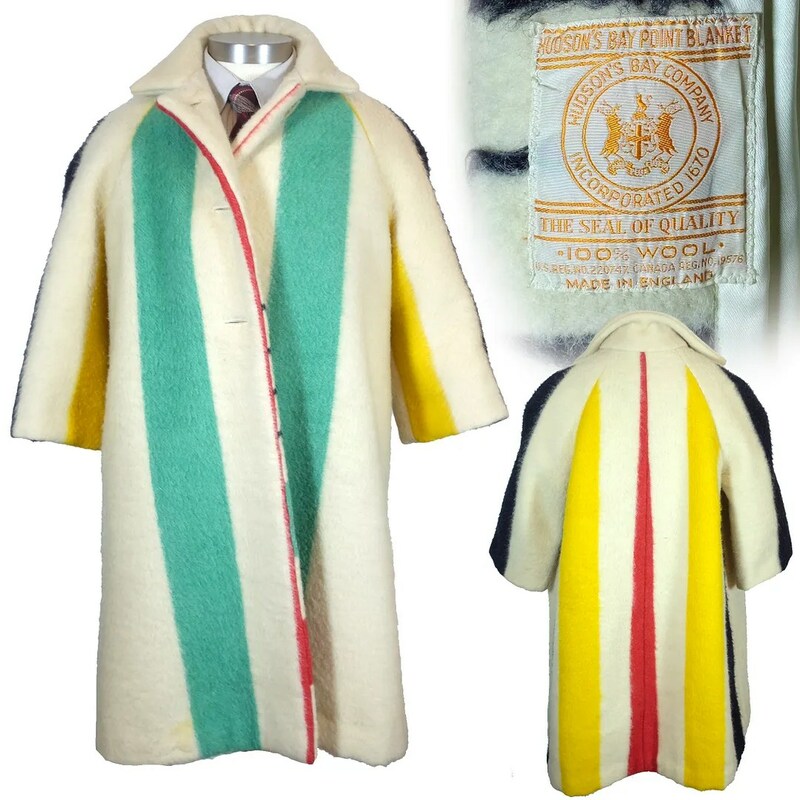 This vintage coat was made in the 1960s from English made Hudson’s Bay Company point blankets. 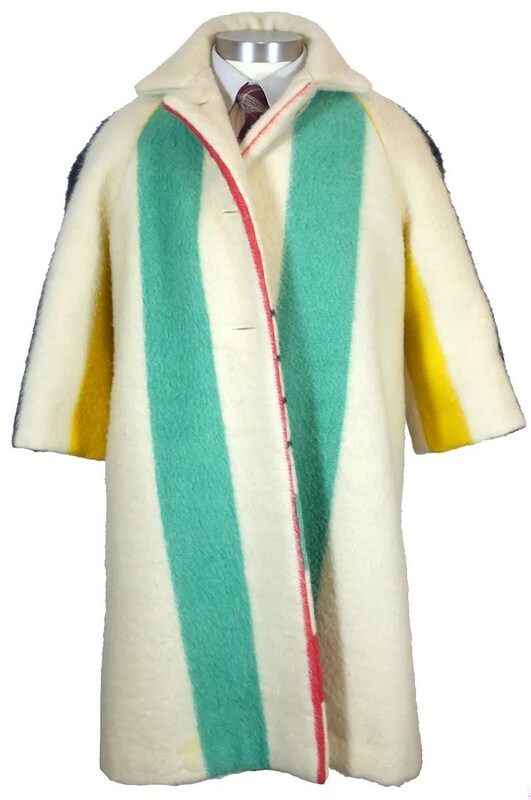 In a departure from the usual way that these blankets are turned into coats, this one has the stripes running vertically, giving it a very mod look. 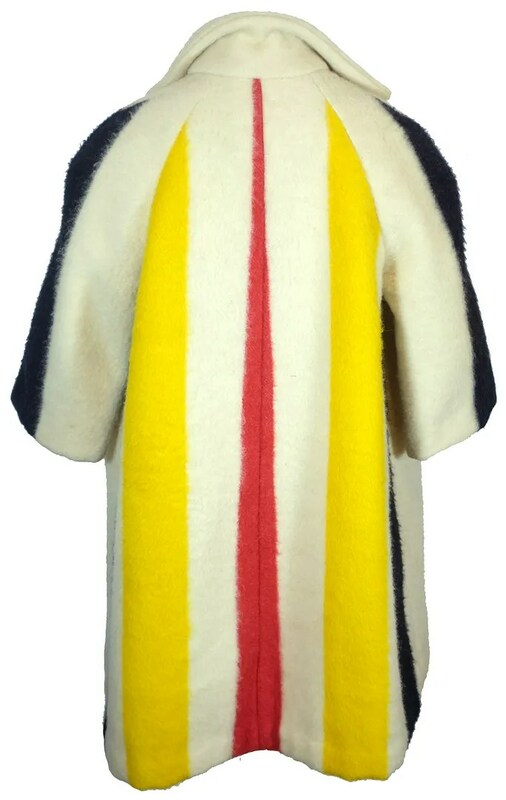 It has 3/4 length sleeves. 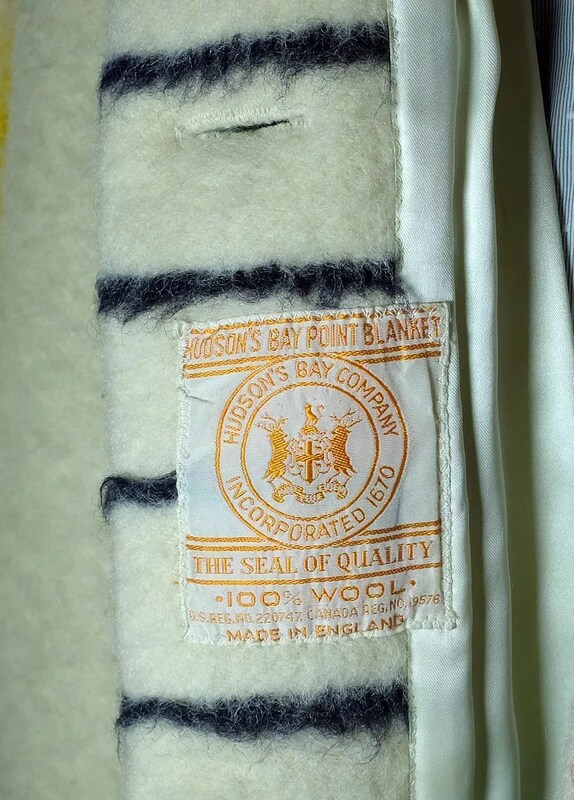 This entry was posted in Coats and tagged 1960s, coat, Hudson's Bay Company, Hudson's Bay point blanket, mod, point blanket, vintage by Spencer Stewart. Bookmark the permalink.